In the cover story of the March/April edition of Chicago Architect magazine, writer Timothy Schuler profiles the renovation of the former Fulton Market Cold Storage Building into 1K Fulton, a high-tech commercial hub in the city’s West Loop. Through interviews with Tom Pope, HPA’s partner in charge of the architectural design, and Andy Gloor and Patrick O’Connor from developer Sterling Bay, Schuler assesses the adaptive reuse of the concrete loft building and its effect on the transformation of the Fulton Market district. Two additional HPA projects are featured in the same issue. The renovation of the Chicago Motor Club (CMC) is the subject of editor Adilla Menayang’s piece about how the landmarked Art Deco skyscraper is being brought back to life as a hotel development. Also, the Chicago Athletic Association and CMC are included in a survey of downtown hotel conversions due to open in 2015. 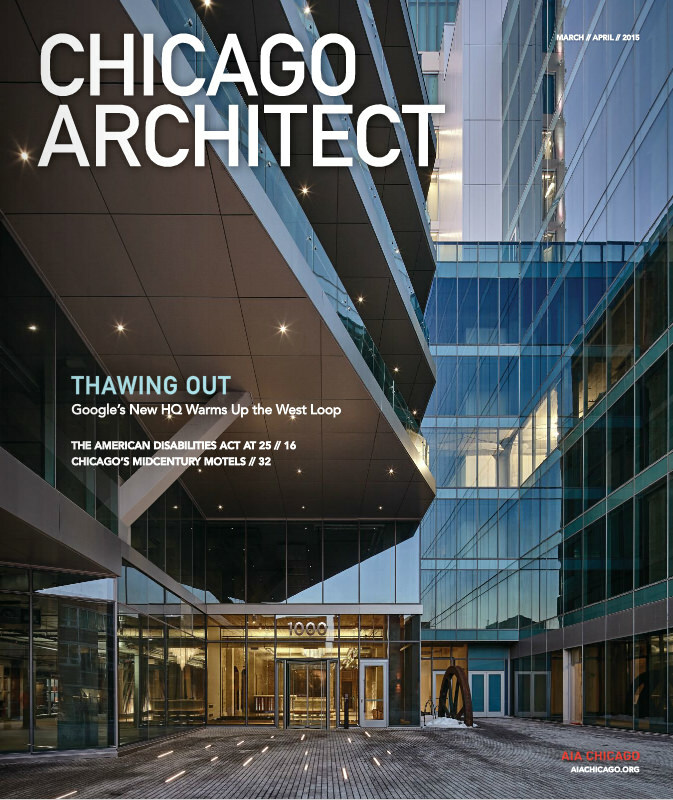 Click here to view these stories in the March/April issue of Chicago Architect.